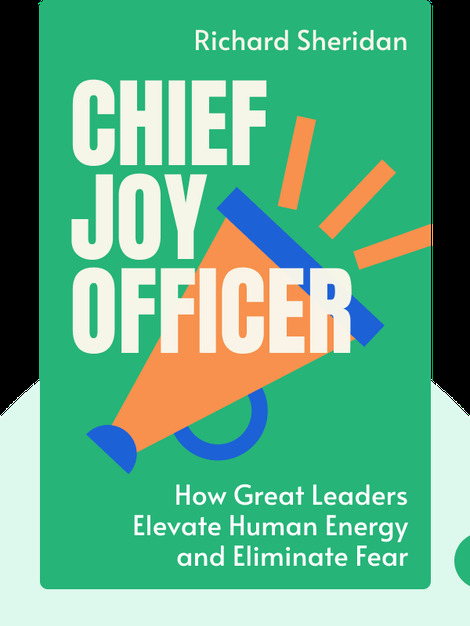 In Chief Joy Officer (2018), Richard Sheridan shares how he created a company culture built on joy. 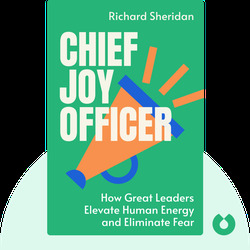 Sheridan’s book is packed with anecdotes from his own career and offers a clear guide to building a company with a purpose and a workplace that people can love. Richard Sheridan is the founder of Menlo Innovations, a software design and consultancy firm based in Ann Arbor, Michigan that has won multiple awards for its workplace culture. Sheridan and his firm host countless tours and visits from other companies and leaders who are keen to understand the secrets of Menlo’s success. He’s the author of the bestselling book, Joy, Inc.